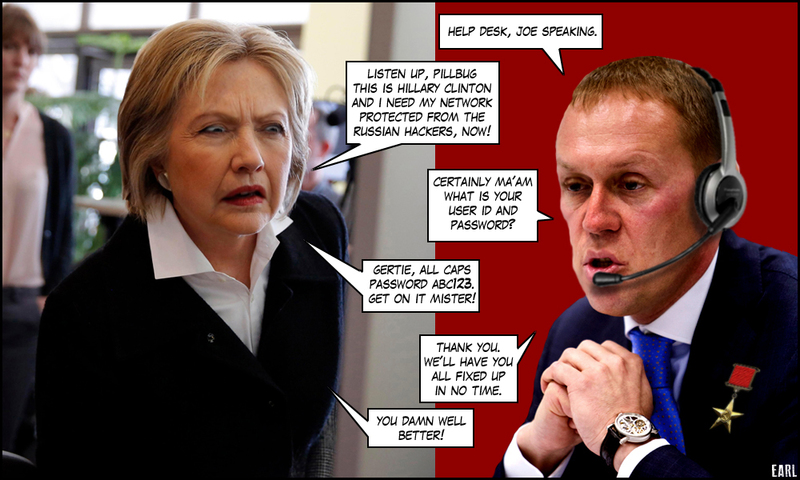 The furor over the cyberattacks injecting turmoil into Hillary Clintons presidential campaign obscures a more pervasive danger to the U.S. political process: Much of it has only lax security against hackers, with few if any federal cops on the beat. No one regulator is responsible for requiring campaigns, political operations and state and local agencies to protect the sanctity of the voter rolls, voters personal data, donors financial information or even the election outcomes themselves. And as the Democrats saw in Philadelphia this past week, the result can be chaos. Wait aminute...Wikileaks exposed Democrat Party corruption. How is that a “cyber-attack”? The leaks exposed the danger of Democrat cyber attacks on the election process. Politico is incautiously bridling at the specter of Diebold and Soros controlling elections. That is the true menace. How will DT respond? How will patriots respond when Hillary is given a majority of the electoral college delegates? Politico prints what the DNC and Clinton want. That is why I do not post articles from that site too often, other than for this one which talks about eletronic voter fraud which I have my concerns about this year.